What does it mean to be organic? More Than You Might Think. I recently asked this question “what does organic mean in terms of food choices?” to a random selection of people at the KLCK bloggers network meeting and bar one, the answers were varied and general but incorrect. Then I overheard a radio interview where the respondent was telling all the listeners about their “fabulous organic garden” and I knew fully well that it wasn’t organic. Chemical free YES, organic NO. Why should it bother me? Is there a different? Well yes there is a difference and quite a big one. When you’re an organic farmer who’s struggling to sell your produce at a higher cost than non-organic, having likely gone through two full years of vigorous testing to achieve your well deserved certification, getting it wrong must be so frustrating! Organic vegetable gardening and certification involves a combination of many things but many feel worth the time, expense and effort to achieve that status. At Greenside Up we teach and garden chemically free, we strive to be as organic as we possibly can and follow as many of the principles listed below as possible. However my seeds aren’t all organically sourced, my manure is from a non-organic neighbouring farmer and my hens aren’t feed organic feeds (though they are GM free). It would be incorrect of me to say that I garden ‘organically’ as that would be an injustice to those who actually do. So what does the term ORGANIC mean? 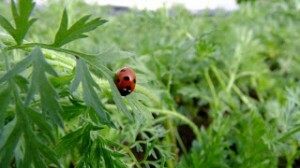 It means avoiding the use of pesticides, herbicides and chemical fertilisers by finding ways of dealing with pesky little bugs without reaching for a spray. It means weed management and not automatically spraying them. 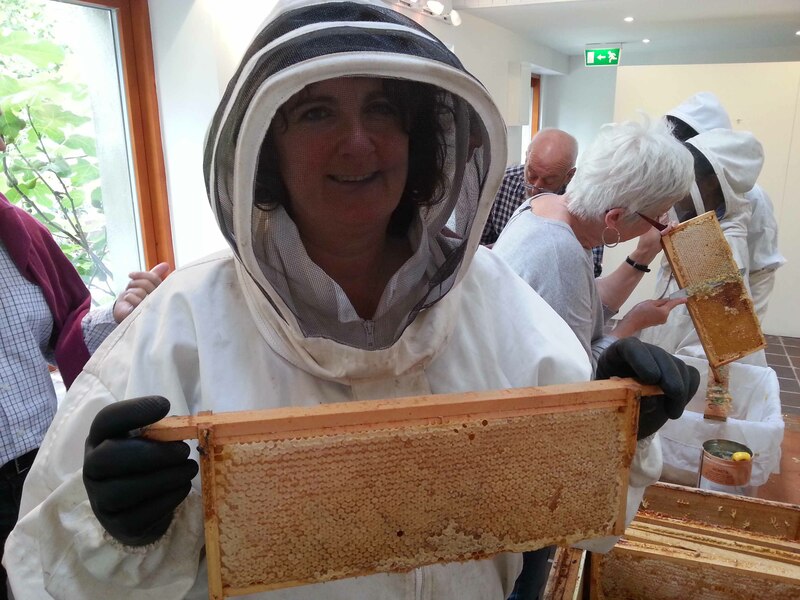 It means sourcing organically farmed animal manures and making compost & leaf mould. It protects biodiversity by encouraging and maintaining habitats for plants, wildlife and animals – planting native hedges, wildflower areas and encouraging beneficial animals such as hedgehogs and toads into the garden. It encourages people to shop and buy locally produced food and not automatically driving to the big out-of-town supermarket. It’s all about the soil – maintaining a healthy soil by rotating crops, adding natural fertilisers such as green or farmyard manures and keeping the soil covered when not in use. It prohibits the use of genetically modified organisms (eg seeds). It ensures that animals are reared to the highest standards, fed on chemically free grassland and free range. It encourages the preservation of water and ensures that pollutants aren’t released into the waterways. How do you know if something you buy is certified organic? 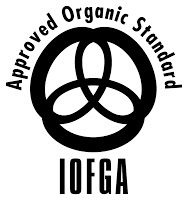 In Ireland it will carry one of two symbols as shown above to tell us so, either from IOFGA or from the Organic Trust. Different countries have different certifying bodies such as The Soil Association in the UK and others around the world, all offering advice, support and guidelines to anybody who wants it. If the produce you’re being sold as ‘organic’ doesn’t carry a symbol from a certifiable body, then chances are it’s not organic. So if you’re not yet growing all your own fruit and veg and can only afford to put one organic item in your shopping basket every week, this may help you to decide which one. Has that surprised you at all? I was shocked to see that apples were the greatest culprit, especially knowing how many un-sprayed apples drop to the ground and are wasted in gardens across the country every autumn! Wow, I would have guessed potatoes were the worst one not apples…glad we grow our own now. I'm also glad that there are farmers out ther that do indeed go to the effort of growing these hard earned organic foods…someday I hope it once again becomes the normal way to grow. Brilliant Dee, especially the list of dodgy fruit and veggies. Surprising list too… I mean Spinach?! Always found it so trouble-free. You write a very reader friendly way and encourage more garner to go for organic. Your garden is amazing without using chemicals in your plants. Good job! I actually host a weekly gardening link up every Friday on my blog. I'd love for you to drop by and join in.